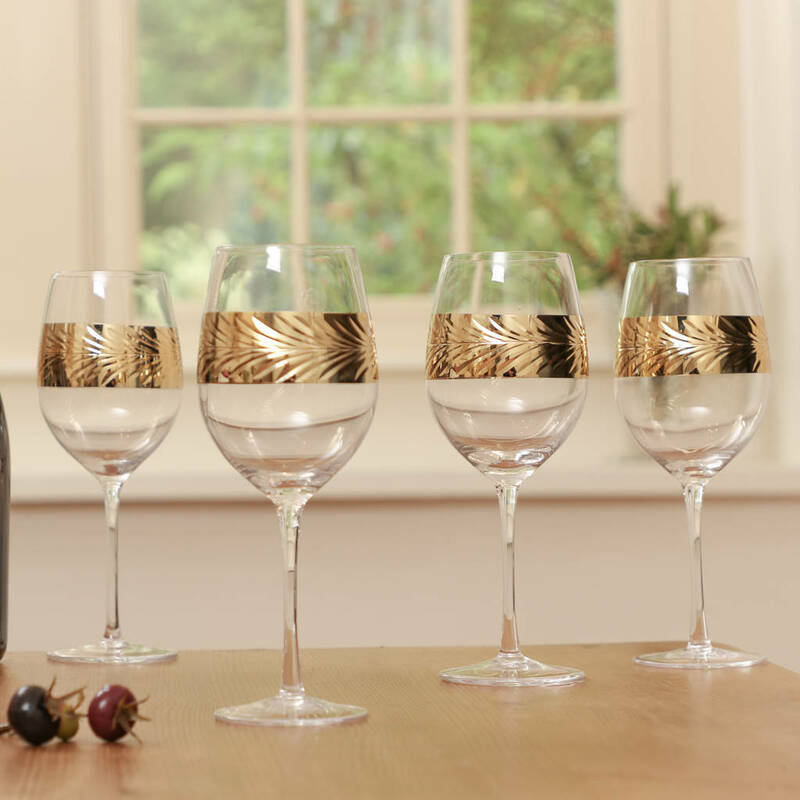 Introducing our opulent wine glasses with gold leaf decoration that are designed in Yorkshire. 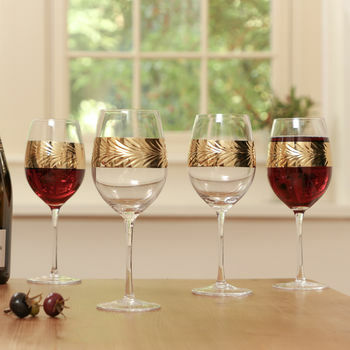 A must have glassware collection for any home. 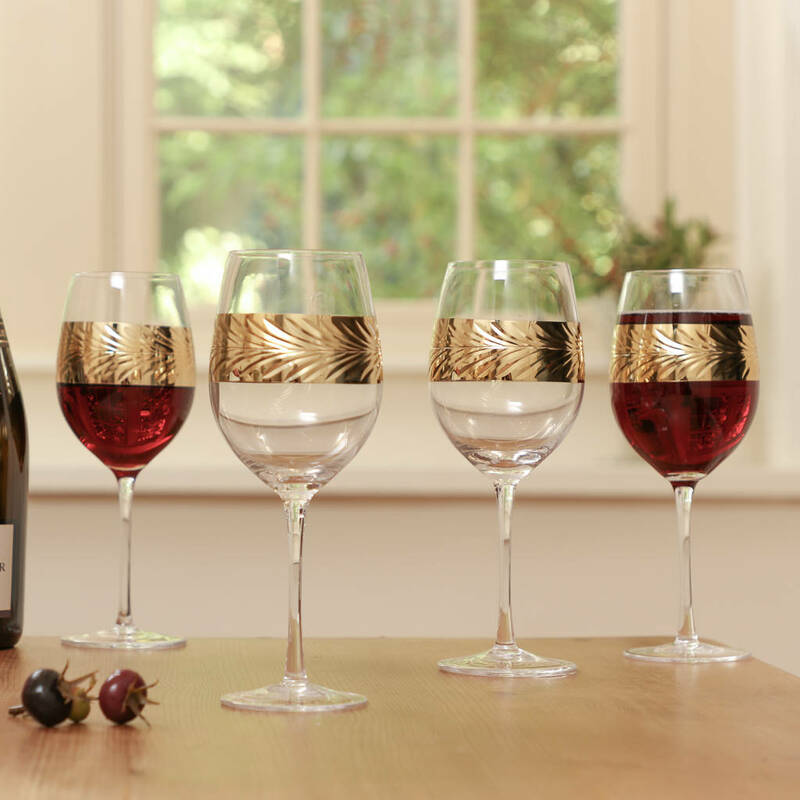 With their unique and stylish gold band delicately wrapped around the centre of each cup, slender shape and boasting sublime quality, this luxury glassware collection is perfect for formal dining. 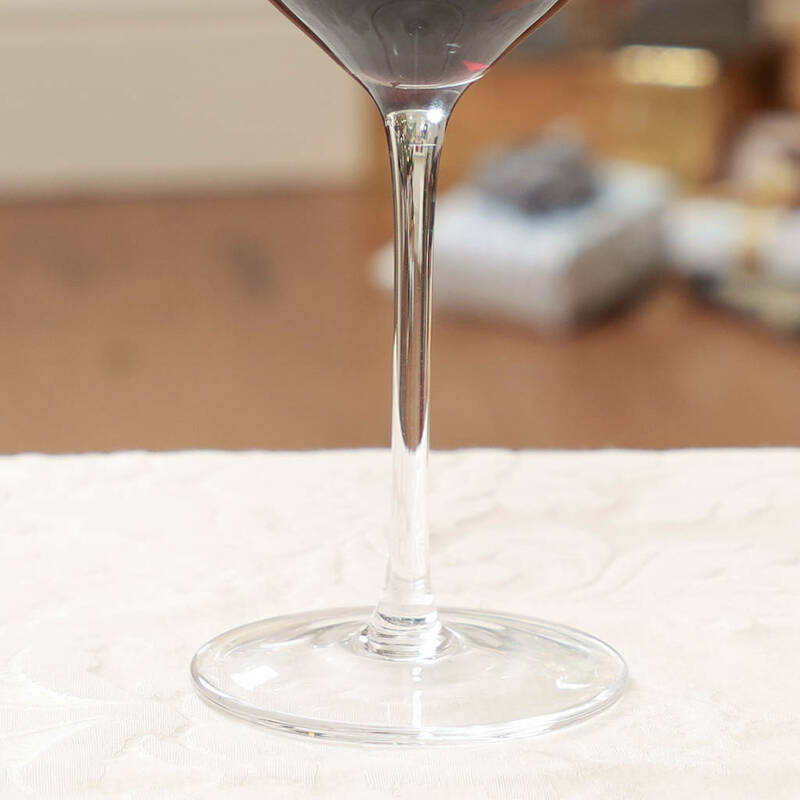 Whether for hosting dinner parties or cocktail evenings, the timeless and elegant design is sure to impress guests. 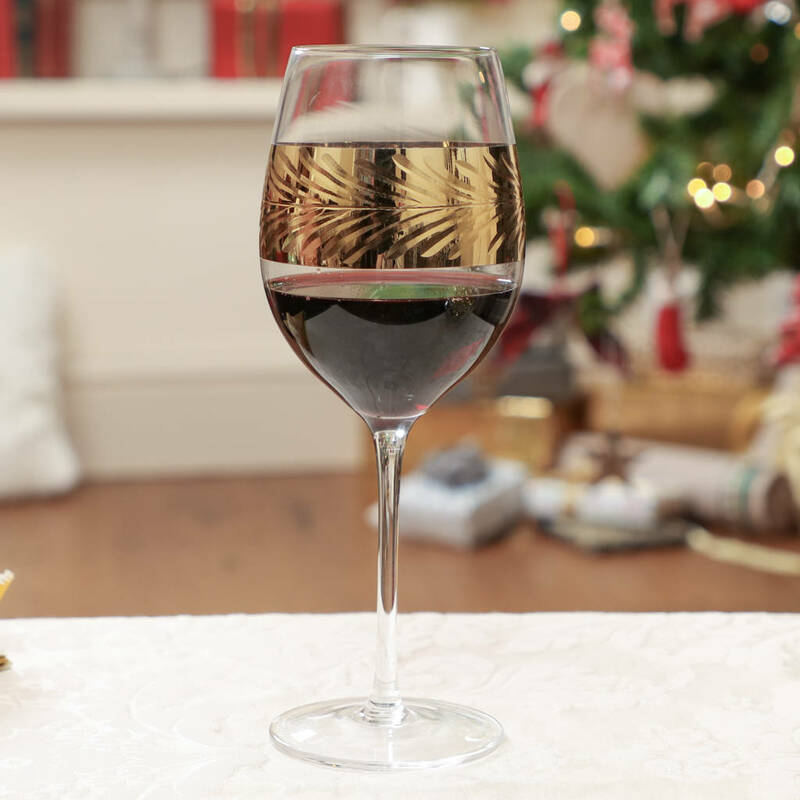 Not only makes a beautiful gift idea that can be enjoyed time and time again, these contemporary glasses are also suited to displaying all year round on a drinks cabinet or display tray perhaps. 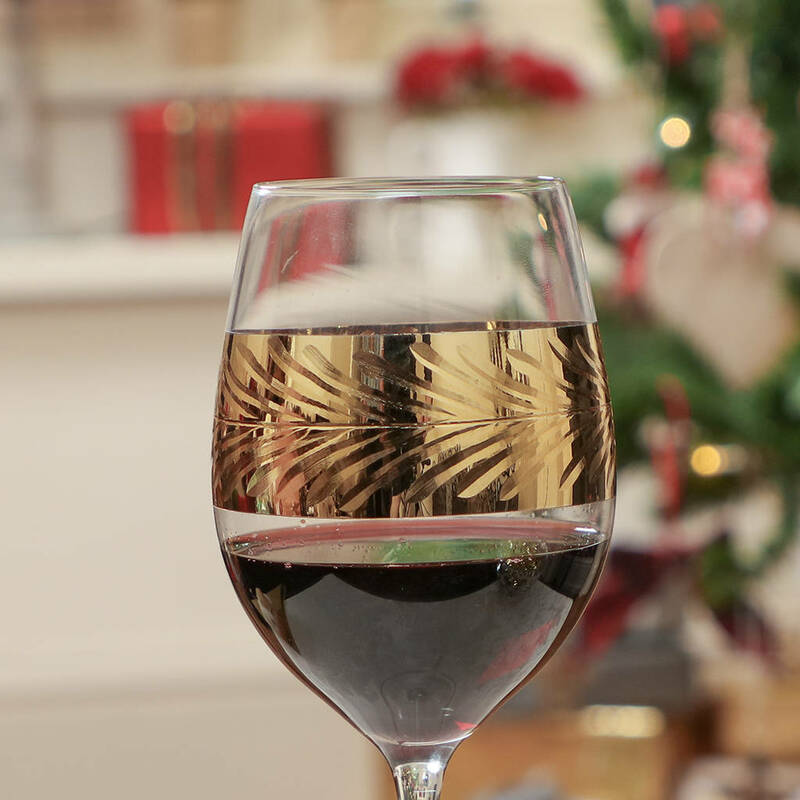 Part of our Feuille d'Or range. 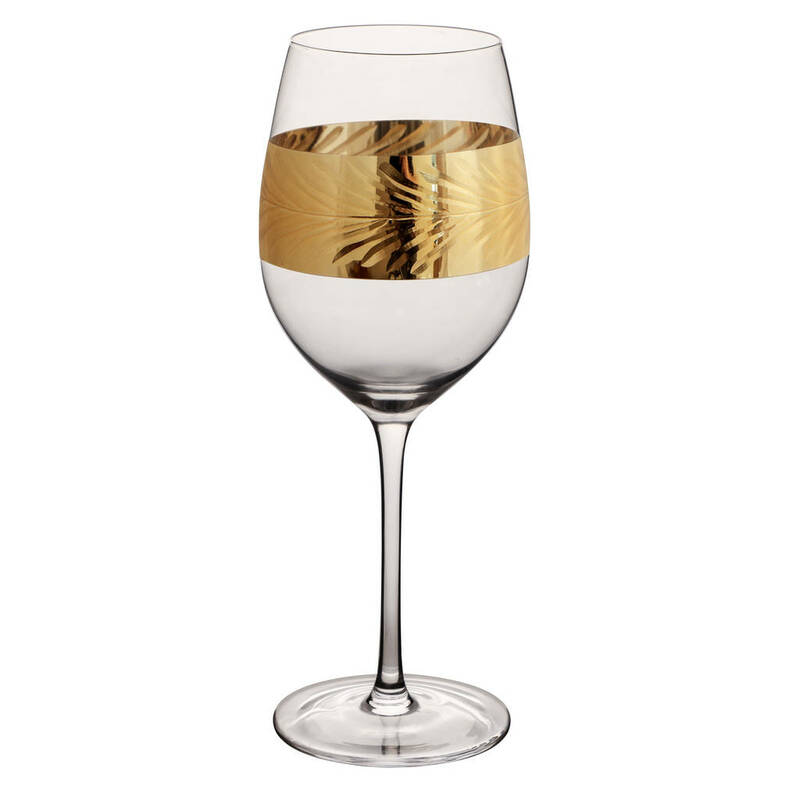 Crafted to the highest standard from superior quality glass, with gold accents. Please note that these glasses are HAND WASH ONLY.